ILVE’s business started 60 years ago with a focus on Commercial Quality Uprights. This foundation is still reflected in the quality of products manufactured today. • ILVE Brass burners do not Block up with impurities & will not suffer oxidation, pitting & corrosion like Aluminium Burners do. 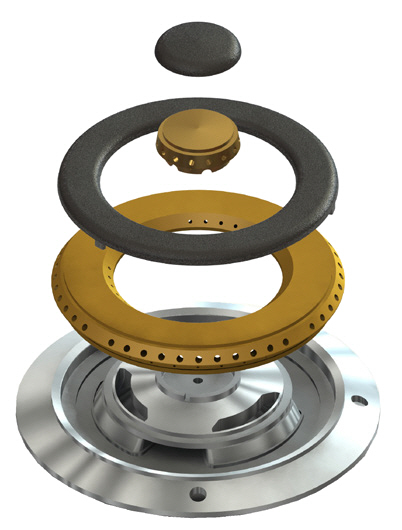 • Highest flame output on the market for an upright cooker at 18MJ/h (European Tested). • Brass burners allow the gas to burn much hotter and with a pure blue flame. 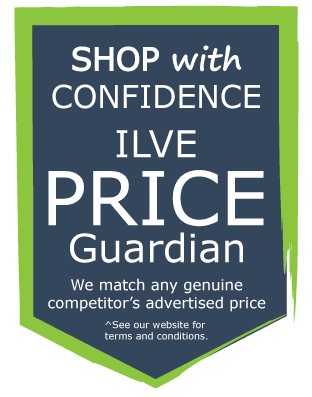 • ILVE are the only brand manufacturing freestanding cookers that incorporate as standard Brass Burners on the Australian market. 40mm Wool / Fibre glass blend, highly compacted with an Aluminium Sheath. 3 layers at 4mm Thick, Tempered, Tinted Commercial panes of glass. Inner and Outer Layer is coated with a Metallic Alloy Film to reflect heat in. • Sealed Oven Cavity with Dual Capillary Thermostats. comprised solely of Metal and Glass (No Plastic). 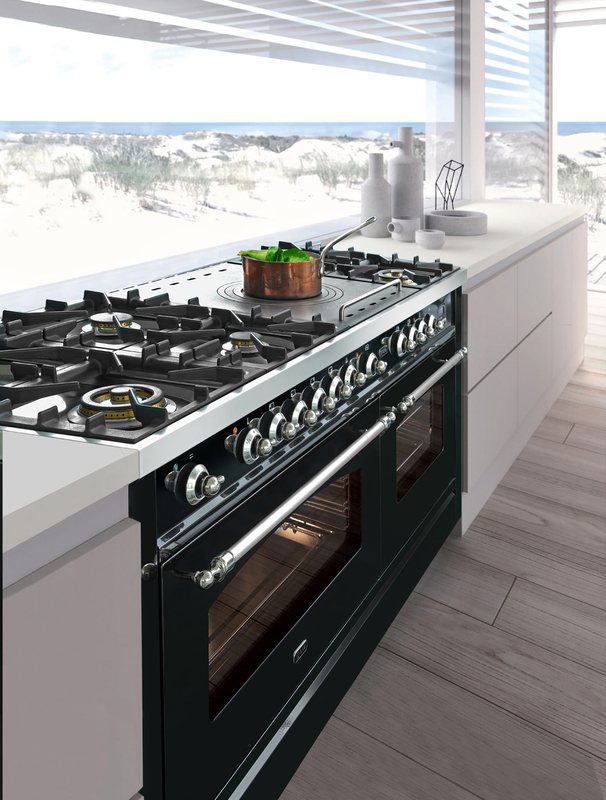 • Provides a more stable internal oven temperature. succulent roast, and light but crisp pastries. • 304 Surgical Stainless Steel wont rust and is used on all visible external surfaces of ILVE uprights. • ILVE use an expensive enamelling process. Enamel, unlike a ‘painted’ finish, is resistant to flaking, discolouring, scratching, bending and warping. Fryer and Simmer Plate Options Top Options. • Titanium, Nostalgie, and Professional (QUADRA) Styles. Please call 1300 882 257 to speak to one of our expert kitchen team, for the best pricing, current promotions and availability.